its a very good sign for our pakhtoons brothers to study the literature even on net. God bless u for your such struggle. 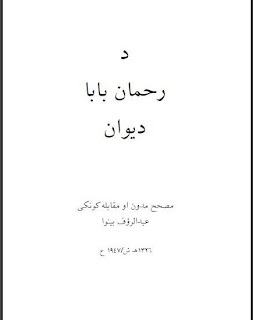 May i get a copy of Rahman Baba Dewan through my email at "mirshad8@gmail.com". can I get a copy of Rahman Baba Dewan please. Salaam,I appreciate. Your. this. great task to provide dewan e rahman baba and other pashto books for public through email. 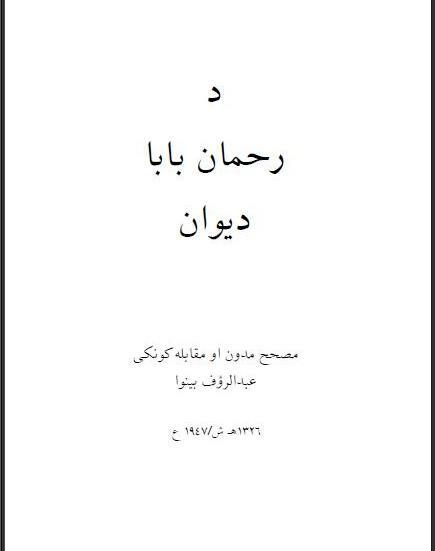 I shade: khattak also request you for downloading of dewan e Rahman baba.please..
Da Rahman Baba Devan deer kha kitab day ao maa download ko, manana kom, nice pashto book.